Washington state law requires cash advance lenders to be licensed. 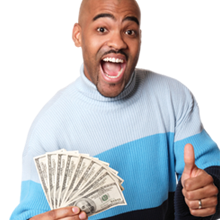 Payday loans must be accompanied by a written contract that specifically outlines all of the charges and fees. Loans that exceed $700 are prohibited. While civil action is allowed, payday advance lenders may not pursue criminal action against a borrower. $700 is the maximum payday advance loan, excluding fees, allowed by law. Loan terms vary - they can be anywhere from 31 to 45 days. Washington law does not permit extensions or rollovers. Finance fees cannot exceed 15% of the first $500 borrowed and 10% of the remaining balance. The lender may also charge a one-time non-sufficient fund fee of $25 in addition to any collection costs.